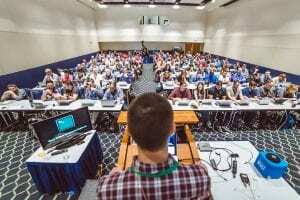 In less than a decade, MacAdmins at Penn State has evolved from a one-day event solely for University employees to one of the most highly-regarded industry conferences in the world. From July 9-12, 2019 the Penn Stater Hotel and Conference Center will welcome hundreds of attendees from around the world to the 10th annual MacAdmins Conference at Penn State. Registration for this year’s conference is open now, and early-bird discounts are available until May 14. Attendees get access to an all-day workshop of their choice, three days of conference sessions, and meals each day of MacAdmins. Evening events are scheduled throughout the conference and provide plenty of recreation and networking opportunities. 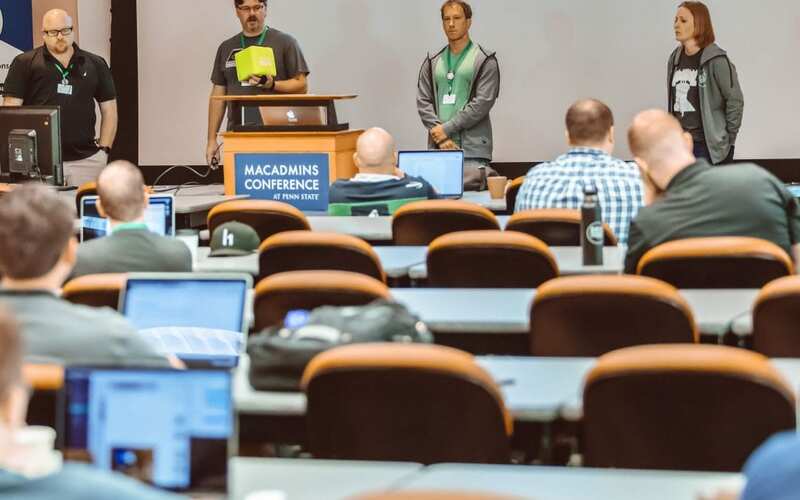 MacAdmins attendees will have access to over 60 breakout sessions covering topics like Mac deployment tools, system monitoring, mobile device management solutions for iOS devices, and programming for system administrators. Sessions will feature representatives from influential tech companies like Google, Facebook, SAP, Walt Disney Animation Studios, and more. Also, the conference’s opening day will feature seven workshops from which attendees can choose. Mac and iOS systems administrators and managers will come to University Park from throughout North America and as far as Europe. Despite the vast distances that some travel to attend MacAdmins at Penn State, it has become a close-knit community that provides valuable professional development. For more information, please visit the MacAdmins at Penn State website.